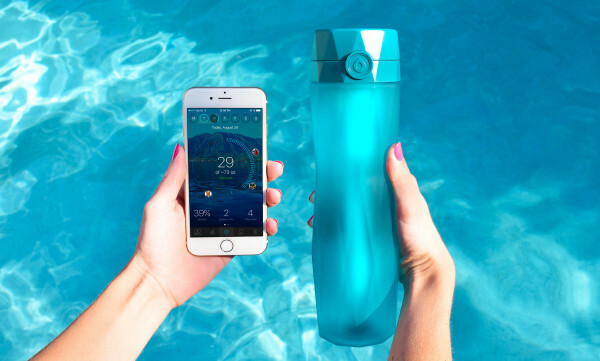 Hidrate Spark Smart Water Bottle Launches a Third Co-op! PLEASE BE ADVISED - Read the following statement from Kickfurther before purchasing packs from this co-op. This co-op is the first launched under Kickfurther's newest co-op type, "Inventory Visibility" or "IV". Co-ops of the IV Type are not backed by assigned wholesale purchase orders. Instead Kickfurther forms a relationship with the warehouse provider and tracks inventory levels relying on third party inventory verification. Read more about the release of Inventory Visibility here. Payouts made during this co-op will not come in one lump sum to Kickfurther from the brands client directly at the end. Instead Kickfurther will monitor inventory levels and invoice against inventory that is shipped from the fulfillment center on a bi-weekly basis beginning when the Inventory funded is available or the Inventory Available date which ever is sooner. Kickfurther inventory is subject to "First In, First Out" meaning that once the Kickfurther inventory arrives or the Inventory Available date is reached, all sales of the funded item type are invoiced against regardless of whether the specific unit shipped was funded by Kickfurther or the business. Incremental payouts during the lifetime of the co-op may be withdrawn or used to purchase from other co-ops. For more information on how invoices are generated see this post. Update: We have taken down our previous co-op and re-posted under new terms based on feedback from the buyer community. The edits to the co-op include a shorter timeline, and an increase in profit. The result is a substantial increase in profit per month. Thank you for your support. Please note we updated our payment schedule by a 4 full weeks, however the Kickfurther completion date is now set to acknowledge the 5-10 day hold period. See the chart below for our contratual payout schedule with Kickfurther. We are Hidrate and we are excited to be back on the Kickfurther platform for the launch of Inventory Visibility Co-ops. We have had a wonderful experience with the Kickfurther community having funded and paid out on 2 successful co-ops, one for $32,000, and another for just below $100,000. Both were completed in a timely fashion. We've been growing rapidly since our last Co-Op in February, generating $3 million in 2017 YTD revenue and locking down a launch in Target.com this month. As we return to fund again under the newly released Inventory Visibility type we are completely confident that are raise goal of $200,000 is inline with our rapid sales growth. This raise will fund a portion of our overall inventory buy for Q4 (high-demand holiday sales season) and start of Q1. Kickfurther's finance has scaled with our rapid growth and does not dilute our ownership by requiring us to give up equity. We value this tool and have intentionally invested in your support. Hidrate has already performed sucessfully on our previous raises and this raise will include protections for the buyers that did not apply to our previous raises. We have signed a power of attorney with regard to our Warehouse and Fulfilment provider. Our Provider will sign an authorization acknowledging this Power of Attorney prior to the release of our funds. Kickfurther will have visilbility to third party verified reports to track inventory that leaves our proivder and bill us accordingly. We support these protections as we have always acted honorably and responsibly with regard to our contractual obligations and will continue to do so. Inventory Visibility currently serves the needs of our business which has focused on direct to consumer sales in a way that Purchase Order type could not. To get into the specifics of our co-op you will be funding our core product the Hidrate bottle for primarily direct to consumer sales. Production and shipping from our supplier in China will take 3 months and we project 1.5 months of selling to complete the co-op. Inventory will arrive in December and will sell through sufficiently by beginning of Februrary. Payouts will be made based on the following sales cycles and paid on following dates. You should expect to receive payment 5-10 days later than it is remitted based on the Kickfurther funds holding policy. We are excited to work with you for the third time. Feel free to adress any questions you have to us directly! Hidrates 4th co-op on Kickfurther! Great communication and paid back as they forecast! paid back a few days early! Good communication and paid as agreed. Good communication, good coop. Will consider doing the next one. They completed the co-op within the time frame and kept us updated. On time and effortless. Thanks! Awesome company, wonderful founders and payment couldn't have been better. Thanks Hydrate! on time payment and good communication, won't hesitate to support this company again. It's always great doing business with a local company. I felt that we were informed on time as how things where going. Also you have a nice product. Good luck in the future. Timely and efficient, although paid out like a loan it seems vs sales. CEO seemed sharp, on point and integrity when spoke to her. Fast payments, good communication, very good experience. I really enjoyed being a part of this campaign. I will definitely purchase again, if they decide to do another campaign. Great Company. Paid out only a couple of weeks late but, had great communication through out the entire co-op. Great company! Great product! I'll be sure to take part in another co-op with this company! Payments on time, good communication, one of the ones that keeps completing on time or ahead of schedule over and over again. Excellent, kept to their word, and very through! Good communication. Finished on time. This was the second time I’ve done business with them and I have no problem doing business with them in the future. Very nice product and hope they have more products in the works. Great communication, early payout. Would back this business in the future. Very active in comments and updates. Repaid steadily. NOTE: KF censors and ignore users who are unhappy with KF letting fraudulent co-ops in and leaving us holding the bag. Invest carefully. Excellent communication, early payback. Could not ask for more. Good communication and early payout. Regular and informative updates, responsive to comments, and early payout. Hidrate did an exceptional job througout the co-op, and I will gladly contribute to future co-ops. This is the third time we done business and they have been great. I like to help out local businesses and this one has a great product. Excellent communication and timing. I will invest in this company any day. Awesome company with a great product. Communication was excellent and the payout was early. I will gladly do business with this company again. Amazing lets do it again! Great experience and definitely on board to help fund their next co-op! Wow I am blown away! 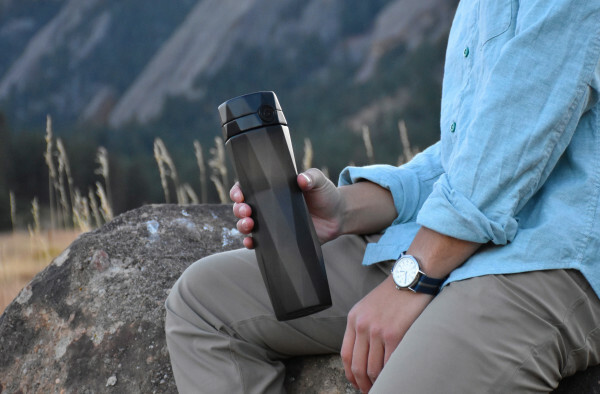 This was my first Kickfurther investment and Hidrate, Inc. has been great! I'm very pleased with the results. Good luck in your future business ventures! Good communication throughout co-op and paid in full early. Done multiple co-ops with Hidrate - pleased every time! Will continue to fund. Have had two successful runs with Hidrate and would support another one, should they need more finances. Although completed on time, did not adhere to the payback timeline early or respond to backer questions in a timely/ clear manner regarding the shortfalls. This was over half a million dollar co-op, which was chancy for all of us. And then there was the thing with sales to Target that wouldn't pay off for 70 days, so some of the early and mid-term payments were small. But the end payments made up for it and it completed on time. Very impressive. The previous four co-ops had been successful, but this one seemed to be a reach. I'd back these folks again. Great experience - would fund again! Really poor communication this time round, not sure if the company was going under or if they didnt care about their investors. A little shaky in beginning but then turned it around and came through before time. Nice job! Good stuff, made money. Happy. My 5th time backing Hidrate. Great track record overall. This one had a delay in the first couple paybacks that should have only been a minor hiccup. However, Hidrate handled it poorly. The original explanation for the delay was vague, reasonable follow-up questions were ignored, and then they ghosted backers AND kickfurther reps for a couple weeks. Eventually, there were a couple posts announcing that catch up payments had been made, but we never got a further explanation of the original delay or the communication gap. So, now I know what to expect were Hidrate ever to run into real trouble, and I can't see backing them again, even though all indications otherwise are that they have a solid product with great sales. How would you rate Hidrate, Inc.?